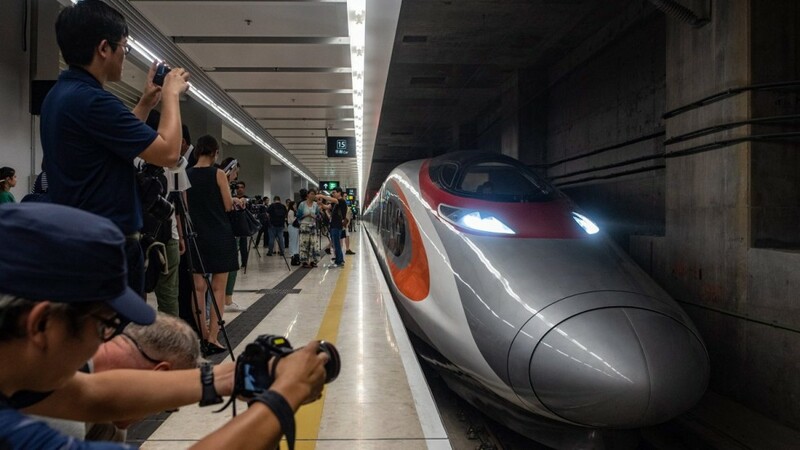 September 2018 saw first high-speed train service travel between between Hong Kong and Mainland China, following the opening of the the new Express Rail Link and the new West Kowloon Terminus. 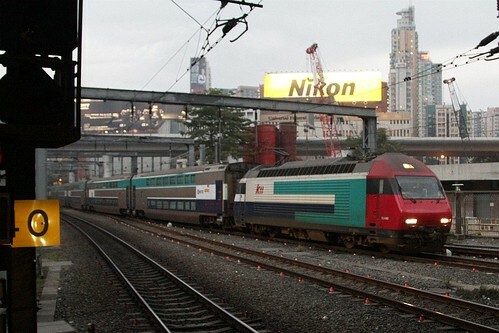 So what has happened to the locomotive hauled Intercity Through Trains and their terminus at Hung Hom? My initial through was that the Intercity Through Trains would be redirected to the new railway, removing the need for overtaking moves on the East Rail line, and freeing up track capacity for more MTR services. 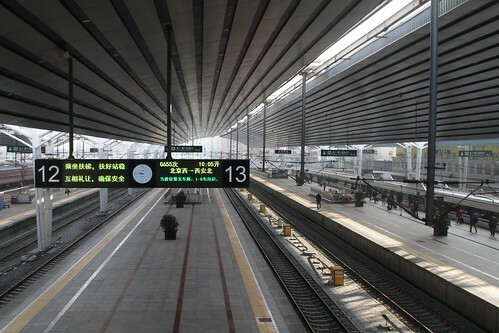 In Mainland China conventional and high speed trains often share the same stations. West Kowloon Station features 9 long distance platforms and 6 short haul regional platforms, giving a total of 15 platforms. Long distance trains will be 16-cars long and use platforms on the east side of the station: 9 tracks with 4 island platforms and 1 side platform. Short distance trains will be 8-cars long and use platforms on the west side of the station: 6 tracks with 5 island platforms and 2 side platforms, with separate boarding and alighting platforms. 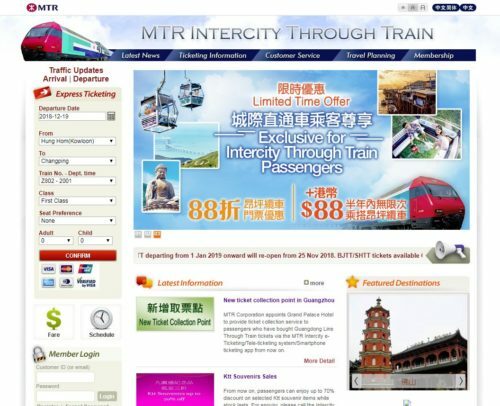 With the MTR’s Express Rail Link website listing the destinations served by the new railway. 13 trains per day to 16 major Chinese cities, including Beijing West, Shijiazhuang, Zhengzhou East, Wuhan, Changsha South and Shanghai Hongqiao. The Mass Transit Railway also purchased nine 8-car high speed trains for use on the new line – named Vibrant Express (Chinese: 動感號) to the same design as the existing CRH CRH380A train. But a few months after the new express rail link opened, and MTR Intercity Through Trains continue to run from Hung Hom station. With no mention of service changes on the MTR website. And train travel website The Man in Seat 61 listing three options to travel from Hong Kong to Beijing. Option 1, by direct classic sleeper train. Arguably the nicest & cheapest way between Beijing and Hong Kong is the classic sleeper train. This takes 24 hours (an afternoon, a night and a morning) and runs every two days, with soft & hard sleepers & restaurant car. Option 2, by direct high-speed train in just 8h58. The Guangzhou-Kowloon high-speed line opened on 23 September 2018, allowing direct high-speed trains to link Beijing and Hong Kong at up to 350 km/h (217 mph). Option 3, by high-speed sleeper train. Take a high-speed Vibrant train to Guangzhou South, then a D-category high-speed sleeper to Beijing. This involves one simple same-station change of train, but it’s arguably the most practical and time-effective option of all. So how long will locomotive hauled trains continue on the MTR East Rail line? The new Shatin to Central Link works at Hung Hom have left space for them, so who knows. This entry was posted in Transport and tagged China, China Railway High-speed, Express Rail Link, high speed trains, Hong Kong, MTR, MTR Intercity Through Train, West Kowloon Terminus. Bookmark the permalink.